Moroccanoil Restorative Hair Mask is formulated with Moroccanoil's signature ingredient, Argan Oil. This powerful antioxidant and UV protector is rich in vitamins that help to naturally strengthen and renew the cell structure of the hair, increasing elasticity and consistently restoring shine to dull, lifeless locks. 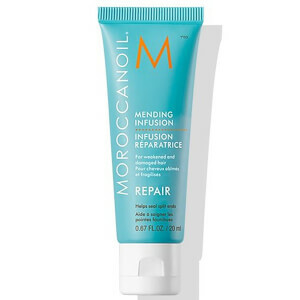 FREE Moroccanoil Mending Infusion when you spend £35 on Moroccanoil. Complimentary gift will be awarded at the basket. Offer valid for a limited time only, while stocks last.